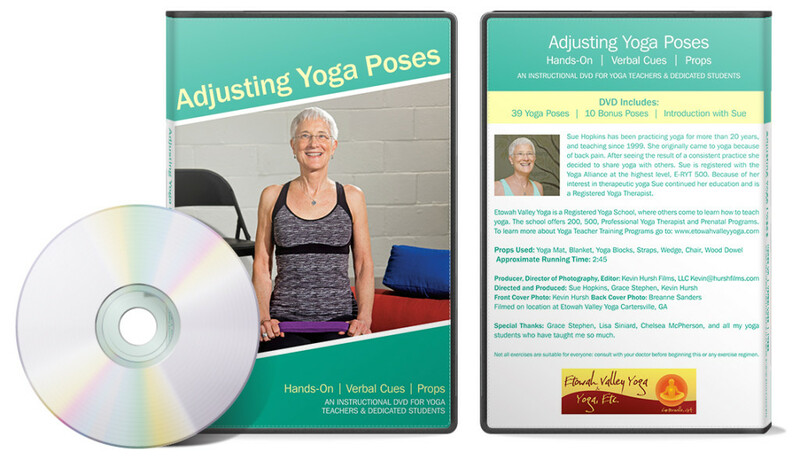 Etowah Valley Yoga approached me about creating a DVD cover for an instructional yoga video created by one of their instructors. The client wanted something that was different than most yoga DVD covers while utilizing the provided photos, copy, and logo. To fill the clients request for a more unique cover, I decided to color block and add angles to help the DVD stand out. The color palette was chosen with the idea of meditation in mind, so a soothing teal is used along with the lighter yellow pulled from the client’s logo. The client was very pleased with the result.